Borderline Personality Disorder (BPD) is a severe personality disorder that is characterized by a failure to self-regulate and effectively handle strong emotions. This disorder occurs unevenly in the context of different relationships in the client’s life: sometimes only a single close relationship is impacted, sometimes several, and, unfortunately sometimes all relationships are affected. Symptoms of BPD are first evidenced during adolescence or in young adulthood. Suffering from a borderline personality disordered marriage is particularly challenging to both partners. People with BPD are often highly capable and professionally accomplished, while their homes lives are chaotic and conflict-laden. Most suffer from poor self-regulation, losing control of their thoughts and feelings. Patients with BPD are often impulsive and are consequently prone to erratic relationships. 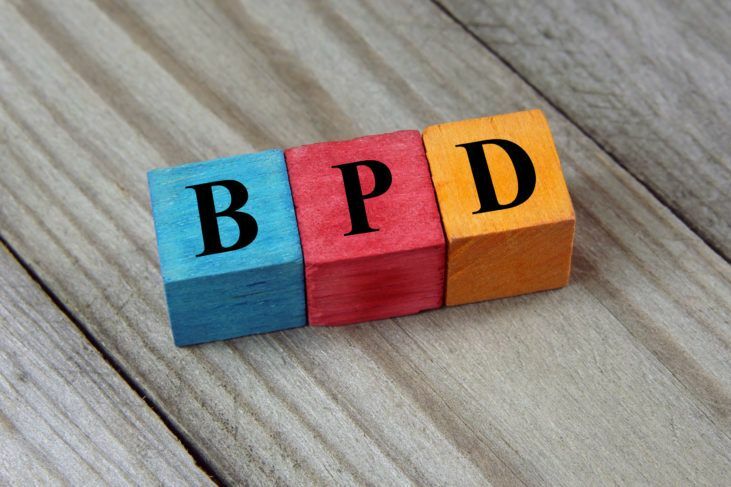 Part of what makes BPD so difficult to treat is that it is often found alongside other deficits such as depression, anxiety, and eating disorders. As if that wasn’t enough let’s not forget alcoholism, drug addiction, and other concurrent personality disorders that can often result in the clinical parsing of BPD into a constellation of sub-types. Living in a borderline personality disordered marriage is challenging on many fronts. Despite how obvious the symptoms are, BPD is often missed. Delayed diagnosis of BPD has been shown to impede recovery seriously. Borderline Personality Disorder is sometimes misdiagnosed as Bipolar Disorder when mood instability is diagnostically weighed too heavily. More experienced clinicians are aware of the critical differences between these two conditions. Although both involve unstable moods, bipolar disorder mood changes may exist for weeks or even months. The mood changes in BPD are significantly briefer and can swing wildly within hours, impacting all relationships including the marriage. Like PTSD, BPD was first recognized in the DSM III in 1980 by the psychiatric community. Fortunately for those afflicted with BPD, decades of hard research has resulted in evidence-based treatment protocols, and effective treatment. Borderline Personality Disorder (BPD) can wreck havoc on a marriage. Is your marriage is affected by BPD? Research on the causes and risk factors for BPD is inconclusive. We believe that there is an abiding genetic predisposition, but scientists agree that the interplay of genetic and environmental influences described in the Diathesis-Stress Model are likely to be involved. We also believe that Developmental Trauma in childhood plays a dominant role in the development of BPD. Adverse childhood experiences such as emotional, physical and sexual abuse, tragic loss, even simple neglect, or bullying may also tip the scales into persistent emotional torment. The current theory is that some people are more likely to develop BPD due to their biology or genetics. This genetic expression is exacerbated by repeated adverse childhood experiences further increasing the likelihood of a BPD schema emerging. Gender Politics and Borderlines…. They’re Mostly Women…. Right? Gender differences in patients with borderline personality disorder have been carefully studied… but that doesn’t mean we got it right. Most therapists are aware of the early research on clinical features of BPD that made sweeping pronouncements about gender differences. The earlier research concluded that a higher proportion of women than men suffer from a borderline personality disorder. Boy, are they ever wrong. Fresher and more reliable research has revealed that there are no significant differences in the prevalence of BPD by gender, but there are gender differences in presenting problems and certain states and traits that evidence BPD. We are also no longer even certain about gender differences in borderline personality disorder concerning certain types self-harm, such as cutting. However, current research suggests that there are notable gender differences in borderline personality disorder concerning personality, presenting problems, and behaviors. With respect to personality traits, men with BPD are more likely to demonstrate an explosive temperament and higher levels of novelty seeking than women with BPD. Borderline men are also more liable to have substance abuse issues, while women with BPD are more likely to show anxiety, mood, and eating disorders, as well as Developmental Trauma. Borderline men are more prone than females also to have an antisocial personality disorder. Finally, concerning treatment history for presenting problems, men with BPD are more likely to have treatment records relating to substance abuse, whereas women are more liable to have treatment histories characterized more by talk therapy and psych meds. I wonder about the relationship between Borderline men and the “Bulldogs” who Gottman said were often the most dangerous after the divorce or separation because of their deep and inconsolable fear of abandonment. Borderline personality disorder in marriage is damaging regardless of which gender is impacted. When you look at the marriage stats for people with BPD, you discover that they are about a third less likely to be married by age 40. But strangely enough, people with BPD do not have higher divorce rates than the rest, despite how impactful borderline personality disorder is in marriage. By an average age of about 40, the divorce rate for people with BPD hovers around 35%, more or less in line with the divorce rate for the average U.S. citizen in 2016. However, for people with BPD, divorce is a serious trauma, and because of this separation trauma, they are far less likely to remarry after a divorce. Only about 10% of people with BPD get remarried by around age 40. The formerly married Borderline remarries at a rate that is about half that of the national rate of remarriage. Where re-marriage is concerned, Borderlines are quite shy. Interpersonal issues are the bedrock of BPD, especially in marriage. Extreme fear of abandonment may explain their reluctance to re-marry. Research studies reveal that for those afflicted with BPD, deep-seated fears of abandonment are persistently painful and intrusive thoughts. They are difficult to overcome in therapy. Previous Post Mindfulness During Marital Conflict Next Post The Kidman/Urban Couples Retreat … Be Brave With Me.